Move-out should be completed within 24 hours of your last final exam. All residence halls will close on May 4th at 2:00pm. If you do not have a May Stayover and Summer 2019 reservation, you must move out and have cleaned your space by this time. Check-outs after 2:00pm will incur a $100 improper check-out fee plus $10/every hour. If moving out during the semester, cancel your contract following the steps outlined in our termination process. Scroll down to learn more. Clean your space and remove all belongings. This is VERY important to avoid damage charges! Dumpsters and recycling bins will be available during the last week of the semester. You can also donate used items at the PHC from April 30-May 5. Microwave and fridges should be returned, de-frosted if applicable, to the front desk of your area. Turn in your key to the front desk in your area. If you do not turn in your key on your move-out date, you will be charged a $60 lock change as well as a $100 improper check-out fee. Academic year housing contracts are for BOTH the Fall and Spring academic semesters. Spring contracts end at the end of the Spring semester. Summer contracts are dependent upon which term(s) you enrolled in courses. A withdrawal is when a student decides not to attend the University of Utah or is leaving the University at the completion of an academic term session (fall semester, ELI term, etc.) and will no longer be enrolled on the main campus. Students who withdraw are not charged additional Contract Termination Fees as long as they give Housing & Residential Education at least 30 days’ notice of intended withdrawal. Failure to give 30-days notice will result in a $580 Termination Fee. Students who have reserved a space in the future are still subject to termination fees if they do not give 30-days notice prior to a semester beginning. Please see the Withdrawal Fees and Schedule below for financial details. If you are intending to study abroad, graduate, do a service trip or will not be in Salt Lake City and are enrolled for the spring semester, you need to cancel your spring housing in Housing U. Students will forfeit their Reservation Fee if they withdraw after May 1 for Fall semester and after December 1 for Spring semester. Students who withdraw are not charged additional Contract Termination Fees as long as they give Housing & Residential Education at least 30 days’ notice of intended withdrawal. Failure to give notice will result in a $580 Termination Fee. If there is an emergency or urgent matter, we have a Contract Appeal form for the student to complete and relay the situation for consideration of an appeal. *After 10 days, contracts will be terminated for students who did not check in. 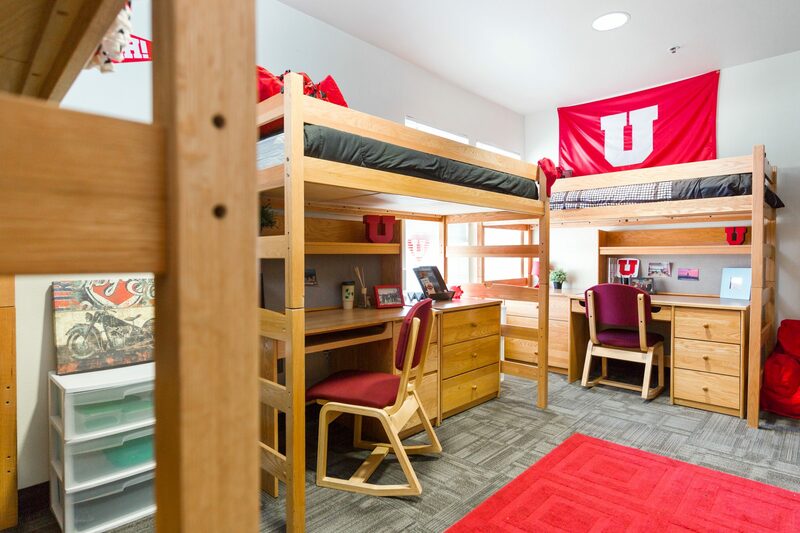 A contract cancellation is when a student will continue to be enrolled at the University of Utah, but does not wish to live in an HRE facility for the duration of their contracted period. If you cancel your contract, there is a fee. Please see the Contract Cancellation Fees and Schedule for details. Students who are getting married or who are deployed for military service are not subject to contract cancellation fees when appropriate paperwork is given as part of their contract termination. Please cancel your contract as soon as you receive deployment paperwork or set your date for marriage. Contracts must be terminated by completing the Contract Termination section in your Housing U account. Once in Housing U, there is a tab on the top page for the contract termination section. We ask that students give HRE seven (7) days notice prior to their move-out date so we can alert staff of your check-out. For students who do a contract cancellation, the fees and the schedule are detailed below. These fees are intended to generate a full academic year commitment by students and insure that we can accommodate individuals who desire the on-campus living experience. Please note that HRE does not pro-rate the last two weeks of each semester. *Housing & Residential Education defines occupancy as the moment when a resident takes possession of their room/suite/apartment key. If you have any questions about your contract termination, please do not hesitate to contact our office for more information.